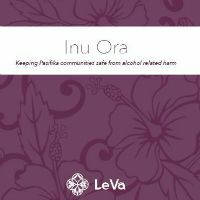 Everyone can play a part in keeping our Pasifika communities safe from the harm caused by alcohol. This plain-language guide is for individuals, families and communities who want to know the facts about alcohol, including the amount of alcohol in a standard drink, how alcohol can affect your family, how alcohol affects your body and where to get help if you need it. This guide will soon be available in Cook Island Maori. Please keep checking this page or sign up for our e-news which will announce the availability of this guide as soon as it is ready.